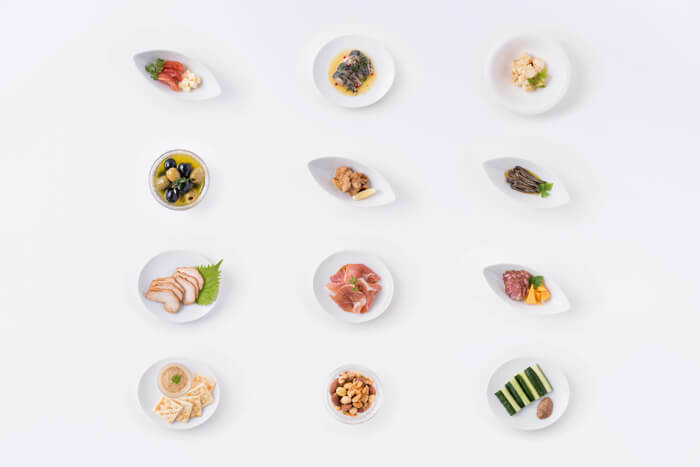 YUMMY SAKE COLLECTIVE is a new sake bar in Daikanyama that held its grand opening on January 25, 2019. It is both a bar and a shop that serves delicious Japanese sake casually without customers needing to be sake connoisseurs. You don’t need to rely on background knowledge or visual information. It is a ‘blind tasting’ service in which you enter your intuitive thoughts which the AI responds to, choosing a sake to match your tastes. When going for drinks in Japan beginners to sake can find it difficult what beverage to go for, but this new AI service solves that problem. It enables anyone to easily pick the right drink for them. 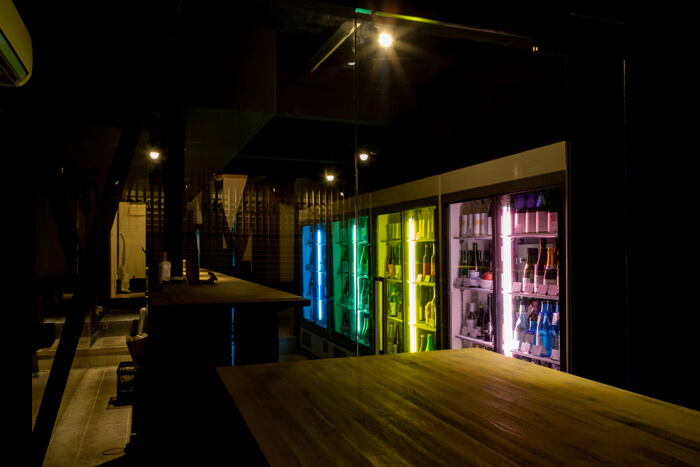 The refrigerator show case in the bar houses around 90 brands of sake including rare selections not often seen served. Drinks are divided by onomatopoeia for customers to easily pick what sounds nicest to them. Drinks can be ordered from ¥700 and you can also buy bottles to keep and take away with you. 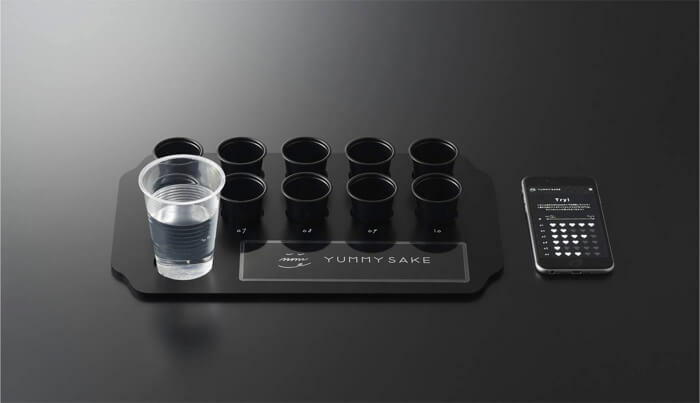 Ordering the YUMMY SAKE service lets you try a blind taste test to compare 10 types of Japanese sake. You evaluate which you like and don’t like based on 5 different ratings and the AI will pick your taste type. There are 12 categories you can be placed into all based on onomatopoeia. This means you will be prepared for when you go out to a bar, shop or event in Japan and can intuitively pick what sake you want without needing to know difficult sake slang or tehchnical rules. 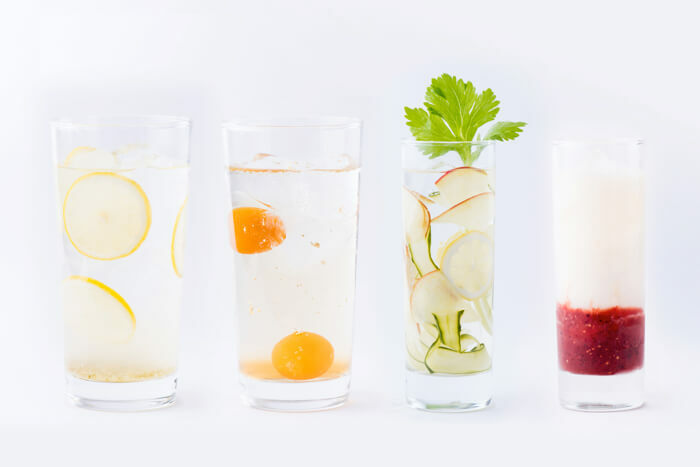 Snacks will also be prepared to go with your drinks based on what taste type you are. 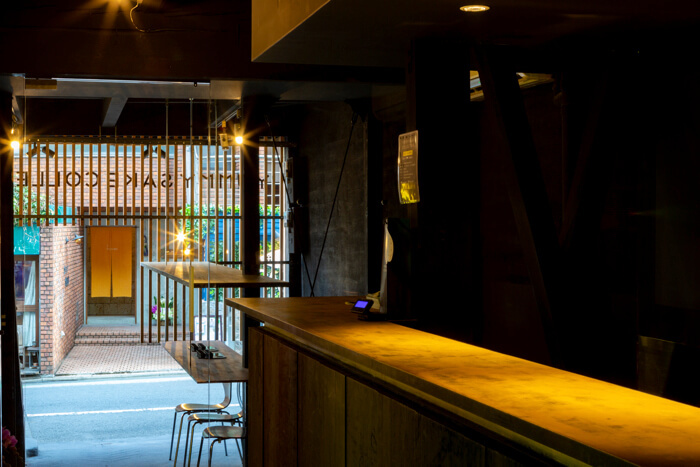 If you’re looking to get into Japanese sake then look no further – start at YUMMY SAKE COLLECTIVE. Venue for Japanese sake event CRAFT SAKE WEEK is a work of art!